An Ohio heirloom originally from West Virginia. Large indeterminate , regular leaf plants produce Large, 1-lb. huge, heavily-ribbed, orange-yellow beefsteak tomatoes with red mottled skin and red streaks within. Very sweet, fruity flavors. Low acid. 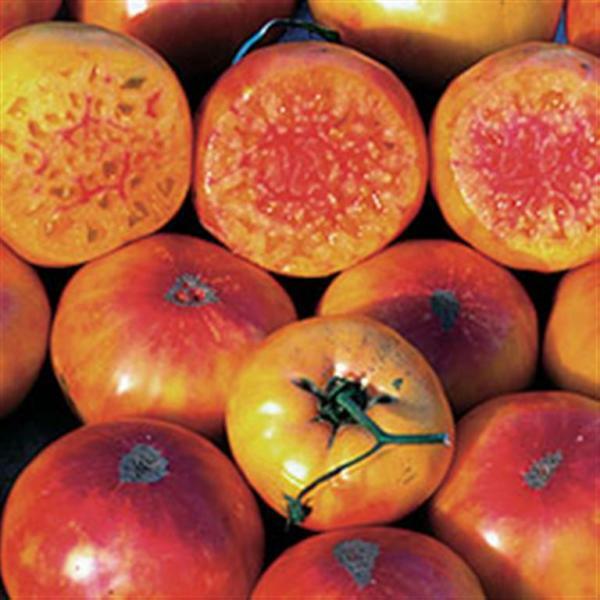 Try it in big slices with other colored tomatoes such as evergreen, red yellow and black brandywine.